November 19, 2013 (Press release) – The sound of sleigh bells is getting louder and Santa’s list is almost finalised. He might have something extra for you this year if you take on the new slot game, Secret Santa, launching on 2nd December. Crazy Vegas Casino needs no excuse to be generous however, with Bonuses of up to $/£/€500 up for grabs. CRAZY VEGAS CASINO :: Secret Santa online slot - PLAY NOW! Secret Santa is choc-full of merry Christmas cheer but the highlight is of course the presents. The game aims to re-create the gift-giving and receiving experience. Secret Santa delivers one of seven gift-wrapped Bonuses roughly every five to seven minutes. These Bonuses are always a thrill to unwrap and can consist of Free Spins, Scatter Sprees, Wild Reels, Wild Boosts, Mystery Multipliers, Dashing Wilds or Rolling Reels™. 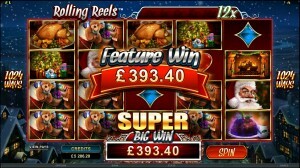 Secret Santa is a 5×4 reel slot with a staggering 1,024 Winning combinations. 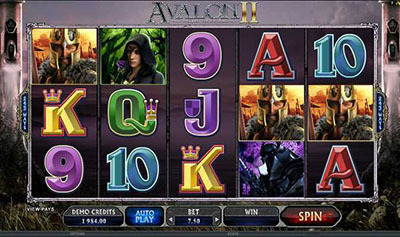 It includes seven randomly triggered Bonus games and pays out a potential Bonus Jackpot of 115,000 credits, an amount bound to have any gamer jingling all the way to the bank. Adding an extra course to that feast is Crazy Vegas Casino’s amazing Welcome Offers. New players can grab up to $/£/€500 in Bonuses on their first three deposits. Alternatively, they can opt for the Freeplay offer of $/£/€3,000 to play with in their first 60 minutes, and a portion of the Winnings they keep. With over 650 top-notch casino games on offer, there’s certainly something to suit every occasion. 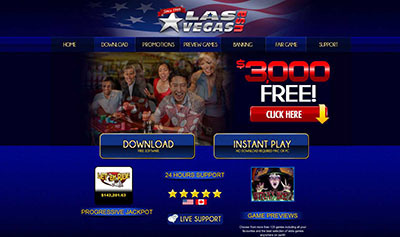 All games are powered by leading software developer Microgaming and are of the highest standard. A range of convenient banking methods are available, in numerous currencies, from credit cards to web wallets. All banking information is carried over secure 128-bit encrypted lines, a trusted industry standard. Should any queries arise, a team of multilingual support staff are standing by 24/7 at Crazy Vegas Casino’s Contact Centre, which can be reached either by email, Live Chat or toll free numbers.